These blocks were part of the Picnic Plaid pattern in the 2016 Quilters' Planner. I started the 2016 sew along but never finished it. 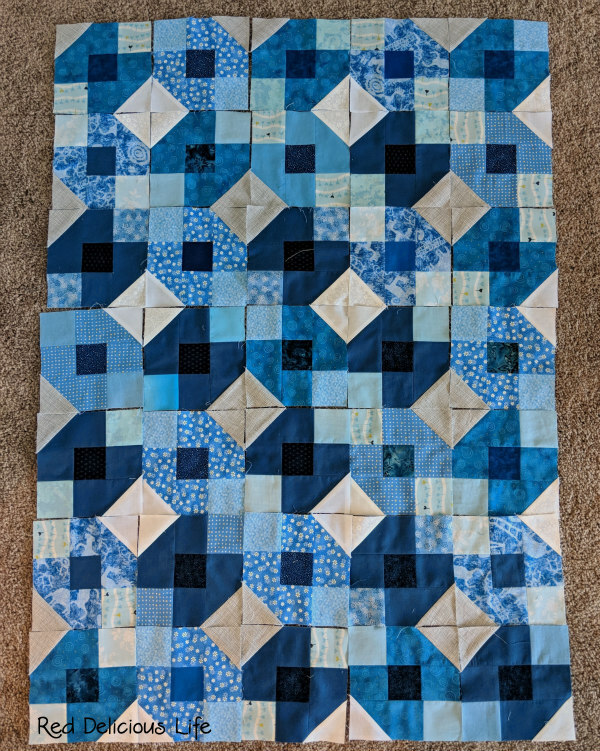 These blocks weren't even finished - there are more to them but I decided that they were good the way they were and decided on this layout. 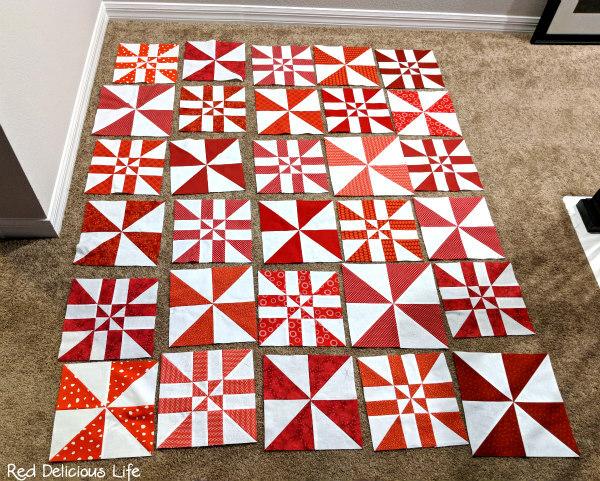 I won these red and white magic pinwheel blocks at my local guild meeting in February. I made 6 more blocks to make it larger and now they're ready to be put together. 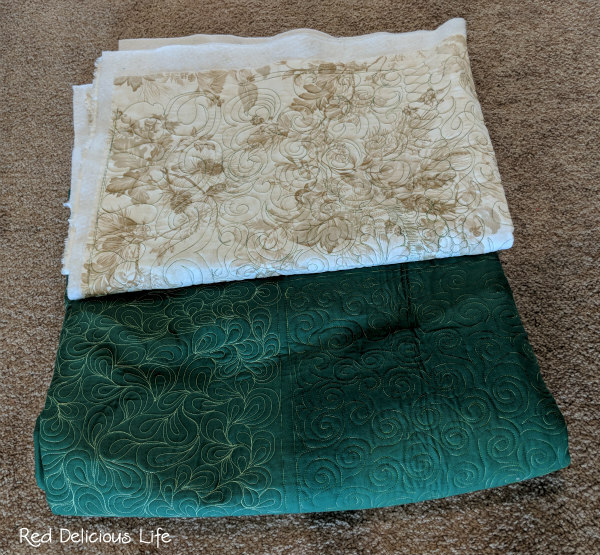 These are practice quilt sandwiches when I first got my long arm. Not knowing what to do with them, they've just been lying around on the floor in my sewing room. When my cat Gideon was sick and had a difficult time getting around, I brought them downstairs where we had hardwood floors and he took to sleeping on them in the various rooms. At the most recent trip to the vet, I got the measurements of their feline boarding cages and I'm going to cut them to size and bind them. It's not glamorous sewing but cats always love sleeping on quilts. Here's hoping my sewing streak lasts! I hope your sewing streak continues, too, Diana. What a great idea to make quilts for the feline boarding cages; I know they will be put to use immediately! I also hope your sewing streak continues. 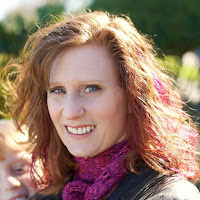 I love that blue picnic plaid quilt...it's so pretty and of course my favourite colour. Motivation comes in all kinds of ways. Lists are good! LOVE the red and white! And what a great way to use your practice pieces. The kitties will like that. What a great repurposing of your long-arm samples, Diana! The cats will be in kitty heaven!